At the Chan Zuckerberg Initiative, we know that helping young people develop the skills and abilities they need to reach their full potential starts with expanding the definition of success beyond academics—to include students’ physical, mental, social, and emotional needs as well. Providing a transformative learning experience tailored to each young person means supporting both teachers and students as whole people. Through our grantmaking, CZI has been working to expand the body of scientific research on how people learn and develop, and to equip teachers with these evidence-based practices to support each student according to their unique learning needs. To build on these efforts, today CZI announced a $1.6 million grant to Valor Collegiate Academies based in Nashville, Tennessee. This innovative school network is showing that social-emotional learning (SEL) and academic success go hand in hand. The consistently top-ranked school system uses a comprehensive student development model, Compass, which promotes both student and staff social-emotional growth. Compass focuses on building a diverse school community and enhancing the quality of relationships at school to create an optimal environment for learning. The CZI grant will allow Valor to expand and expand the reach of learning environments built around its comprehensive human development model, its Compass, using Compass Camps with educators bringing it to reach more students and teachers across district-run and public charter schools nationwide. In the past two years, 85 school leaders from 11 states have received training to facilitate Circles through Valor’s Compass Camp Program. Valor Circles are now being practiced by more than 18,000 students across the country. The goal is to reach 120,000 students by 2021. Science backs up this approach. 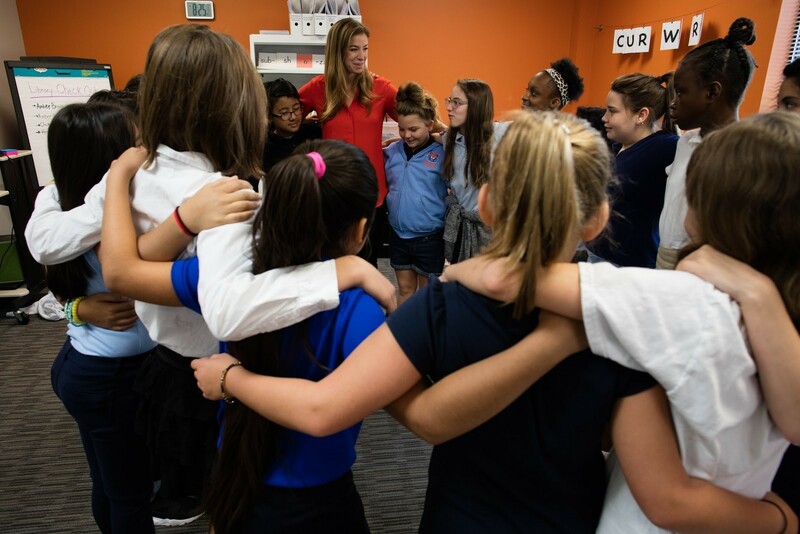 One specific way the school network creates a safe space to learn is through weekly student and faculty Circle discussions—a core component of its character-building Compass program. Valor Circle is a highly structured process of conversation and relationship-building that occurs during mentor groups, and the school prioritizes both student and faculty Circle groups each week. By using this holistic approach to student development, Valor is inverting the achievement gap. For the fourth year in a row, economically disadvantaged students at schools in the Tennessee-based network outperformed their higher-income peers statewide, making Valor schools some of the highest performing in the state.